By Neely Simpson. Aug 22, 2015. 9:00 AM. He told journalist and biographer Sam Weller, author of The Bradbury Chronicles, "I have what might be called almost total recall back to my birth. This is a thing I have debated with psychologists and with friends over the years. They say, 'It's impossible.' Yet I remember." 2.) He was a descendant of Mary Bradbury, who was tried for witchcraft during the Salem Witch Trials. She was 72 years old at the time. Mary was the mother of 11 children, wife of an influential judge, and much beloved by the community. She was accused of causing a spate of illness on board a ship sailing to Barbados. A man claimed to have witnessed her apparition one night while at sea, standing on a capstan. Even though a petition was signed by 118 people endorsing her innocence, Mary was found guilty of witchcraft and sentenced to hang. However, she escaped, presumably due to the influence of her husband. 3.) His first encounter with the woman who would become his wife occurred because she thought he was shoplifting. In 1946, Marguerite McClure (Maggie) was an employee of Fowler Brothers Bookstore in Los Angeles. The store had recently had a series of burglaries, and Maggie was on high alert. It was a hot day, and Ray entered the store wearing a deep-pocketed trench coat and carrying a briefcase. Maggie was sure he was the culprit. She followed him around the bookstore and finally asked, rather hostilely, if she could help him. It turned out that he was looking for a copy of an anthology that had just come out in which one of his stories had been included. The two struck up a conversation. A few days later Ray came back to the bookstore and asked Maggie out. They were married on September 27, 1947, 18 months after they'd first met. When Maggie died of advanced lung cancer on November 24, 2003, the couple had been married for 57 years. 4.) A gas station phone booth was his "home phone." In the early years of their marriage, Ray and Maggie were too poor to afford a phone. Ray's writing career was beginning to take off, and he needed a way for publishers and editors to be able to reach him. So, he gave out the phone number of the pay phone at a gas station across the street from his apartment. He worked with his window open so he could hear the phone ring, and when it rang, he would jump up and run across the street to answer it. 5.) He met a drunk John Steinbeck in Mexico City. When Ray was 25, he went on a road-trip to Mexico with his friend Grant Beach. 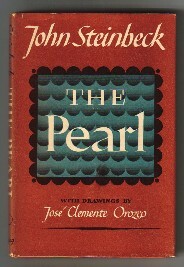 While in Mexico City, they happened to stay in the same bed-and-breakfast as John Steinbeck who was there for the filming of the screen adaptation of his book, The Pearl. Ray had a chance encounter with the slightly inebriated author in the breakfast room of the bed-and-breakfast. Sam Weller writes, "'He was a happy drunk,' recalled Ray, who remembered Steinbeck as having a great sense of humor. Ray, uncharacteristically, was too shy to tell Steinbeck that he, too, was a writer. He was too shy even to mention his great love of The Grapes of Wrath. He simply sat there in awe." 6.) He never, in his life, drove a car. On his road-trip to Mexico, Grant Beach did all the driving while Ray acted as navigator. During the entirety of his 57-year marriage, Maggie did all the driving. The main reason Ray never drove was because at the age of fifteen, he witnesses a bloody car accident in which the occupants of the car were thrown from the vehicle. The incident haunted him his entire life. 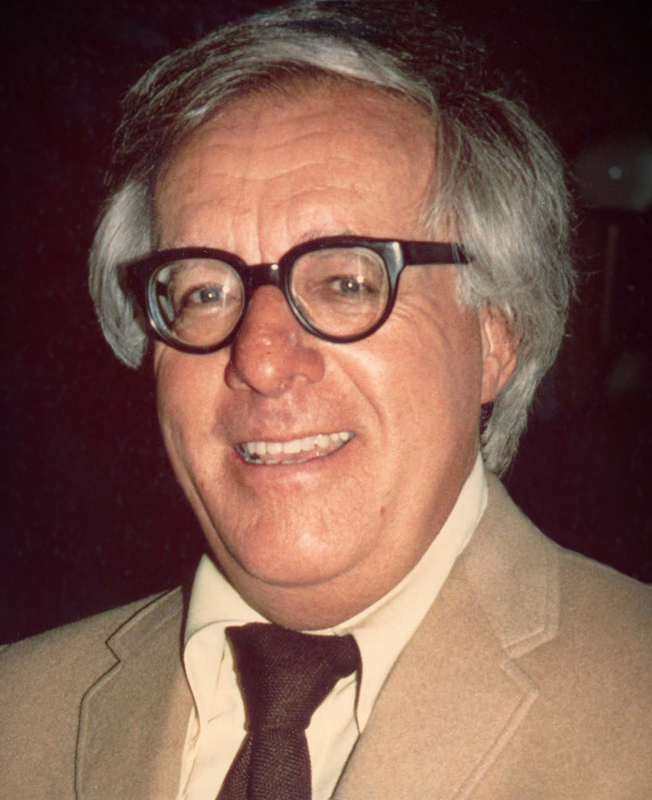 Ray Bradbury died on June 5, 2012 at the age of 91 leaving behind 4 daughters and 8 grandchildren.